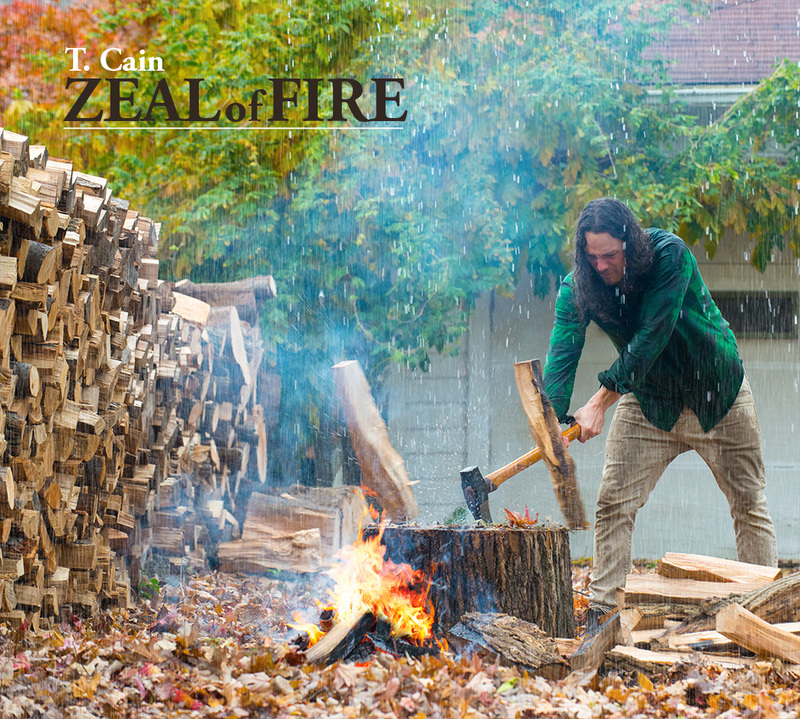 zeal | T. Cain's Thoughts. Christian music or just music? Anyways, I wanted to express my view point on the whole thing, and ask the question what does it really mean to have your music labeled as christian? Or not at all? I just released an album and i’m sure some might think its christian or others may not. For me Jesus was certainly the inspiration behind all the songs and i’m totally unashamed to admit it. But what i want to get at is what lies at the heart of the contradiction within calling something “christian music” and or “secular music”. Heres the problem: All music should just be viewed as music in its comparative genre, whatever the style, lyrics, or sound may be, but its not. People love to pigeon hole, label, lump in, throw out, discard when it doesn’t fit their mold or worldview. The contradiction in this is that some people think theirs no place for God in music or art but theres plenty of space for nihilism or atheism. This is insane. When you consider all the great ones from the Renaissance, to Carvaggio, to Dali, to Beethoven, and how they depicted Christ through their art form in one way or another, it brings things into perspective. The Holy Spirit has influenced millions to join with him in the creative process. The person of the Holy Spirit is a creative genius! We just have to except and seek out the amazing creative wavelength behind the words “all things were created by Him and for Him whether things in heaven or on earth.” If we are created in the image of God, what sweet inspiration can come from this place! Great art can come from this place and indeed it has. Bad art in a lot of ways fails to realize this. It fails to realize story of the cosmic servant King becoming one of his own! I think about Dylan after he first got huge, he was a genius by not letting people pigeon hole him. Everyone wanted him to be the leader and music prophet of the anti-war/anti-establishment movement, but he totally rejected it. According to modern day labeling techniques and rules they should have put Dylan under the anti-establishment music label or industry. He simply made awesome music that had themes of this or that, and just so happened to ask some social radical questions. As he said in a recent interview, “all that matters is what i think and what God thinks.” So, whatever the lyrics are behind the music it should not be put in to one style or industry because of its lyrical content, it should be judged on its sound and quality alone. Now i know theres lots of cheesy christian music out there and its sad, but theres also a lot of cheesy shallow “i kissed a girl and i liked it” crap as well. I know there are a ton of people not in to people singing about Jesus, but why is it that nihilism and total depression pass as good inspiration or themes? Everyone is “preaching” through their music, it just seems to be somewhere between, extreme promotion of nihilism or an extreme hatred of it. So, If you sing about Jesus, sin, or redemption in your music, you should not be labeled as a christian style musician. Instead, if you sing about Jesus in your music you should be viewed as a musician who makes music who just so happens to sing about Jesus. Or could you just simply be viewed? All modern folk, rock, blues were all hugely influenced by old time hymn mountain music that was about the Gospel and Biblical stories. Long before there was rock n roll there was the Rock of Ages! The Bible is straight up poetic rock n roll, one read through the Psalms reveals great material, “Praise him with trumpet sound; praise him with lute and harp! Praise him with tambourine and dance; praise him strings and pipe! Praise him with sounding cymbals; praise him with loud clashing cymbals! Let everything that has breath praise the Lord!” or the time where King David dances practically naked before the Lord or “How lonely sits the city that was full of people! How like a widow has she become.” We simply need to embrace this musical heritage and draw from it with no shame or historical revisionism. Be who you are and dont flinch for a second. Dont let the fear of man or opinions rule in your heart. “your heart is free have the courage to follow her!” I find this dudes music inspiring, who also happens to be a Christian.